Baseball or football? MLB or NFL? Balls and strikes or rush and pass attempts? 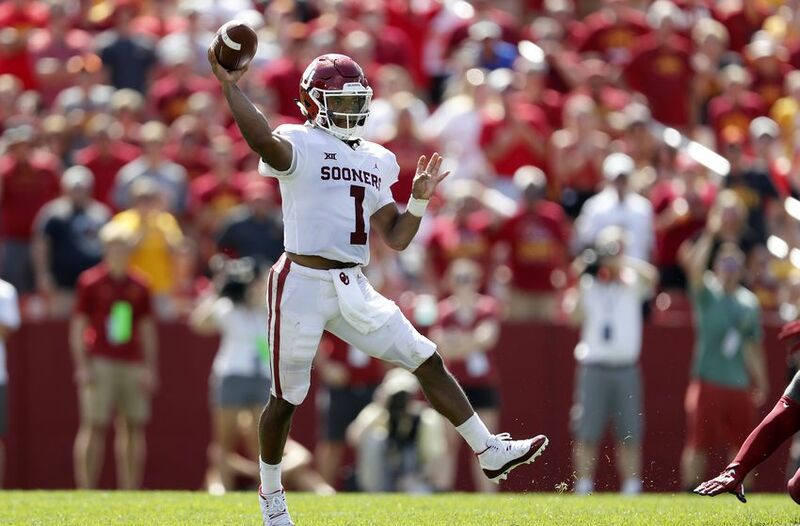 What should Heisman Trophy winner Kyler Murray do? It is, right now, all good for this former Oklahoma Sooner football and baseball standout. He is on the cusp of becoming a million dollar man many times over. Looking at his unique situation, the athletic ability of Murray is coveted by teams of both football and baseball, and the two leagues know that they could add a major star for their sport. Does the young super athlete want to take his football game to the NFL where he could be the face of a franchise for many years to come? Or does the prospect of a spot in the outfield on a MLB team for the next fifteen years excite the fans of the diamond? Both scenarios are there for the picking for Murray, but both come with dangers. It will take a few years for Murray to become a full time roster name on a big league baseball team. And if he cannot hit a curve ball? We all know what that means. And let us not forget, not all bonus babies can hit that damn curve. As for a five foot nine and three fourths inch football quarterback that is not all that bulky, a blow in an exhibition game could end a football career before it ever really gets started in the NFL. Yes, very negative, but realistic. Quick, tell me the name of the last star quarterback in the League that was less than five foot ten? Hers is my take. Go get drafted in the NFL. Most people that follow the NFL draft believe Murray will be a first round choice and even a few think he could go number one to Arizona and join up with Kliff Kingsbury, former head coach at Texas Tech who said he would take him number one in the draft if given the opportunity. He does now have that opportunity. 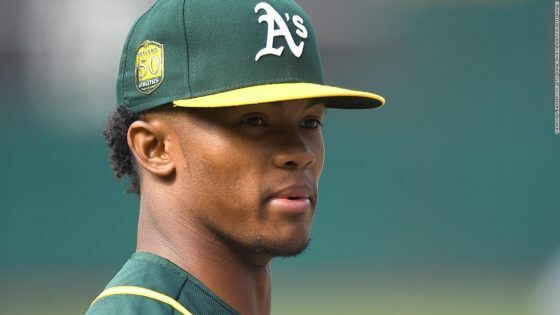 In the case that he is drafted in the second or third round of the draft, Murray could tell the NFL that he will not sign with that team and join the Oakland A’s and take that nice paycheck that is on the table. Either way, Murray lets things play out this spring and summer and in the finality of the situation, he can choose his sport at the last minute. <> at Oakland Alameda Coliseum on June 15, 2018 in Oakland, California. Jeez, Kyler Murray never played for Kingsbury or Tx Tech. He played for Sumlin at Tx A&M. you are correct Randy….thanks for the input…totally appreciated!